Welcome back to paradise, Maharanis! 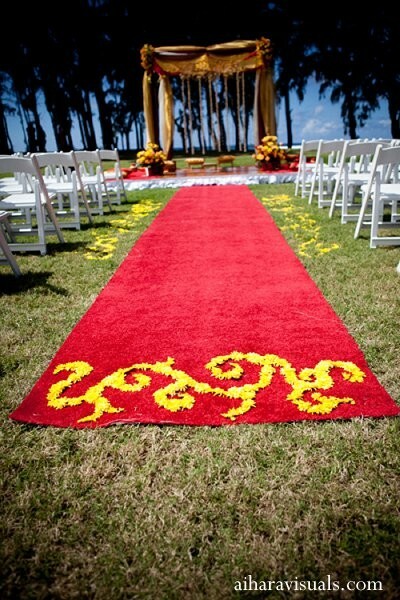 The groom has just landed at the ceremony space (Really! He flew in on a helicopter!) 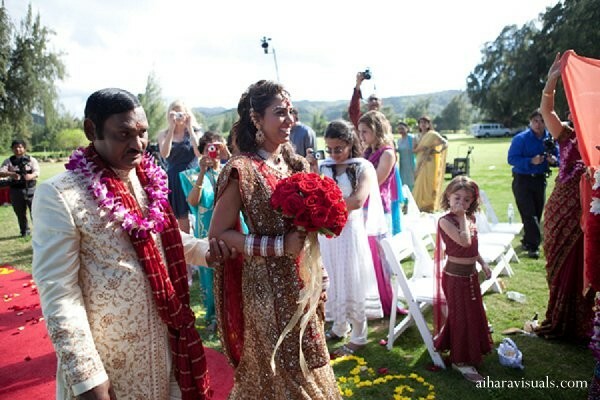 and it's time for the baraat. 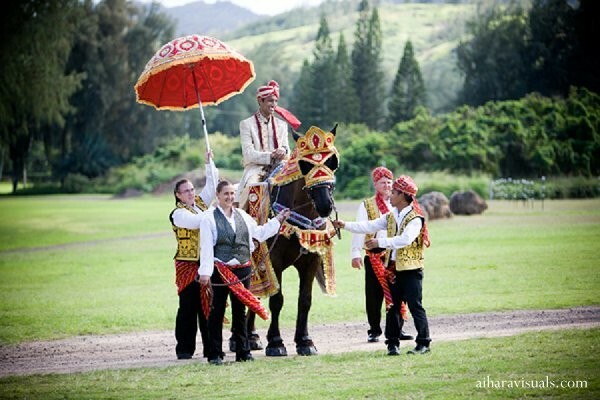 He looks so regal on horseback with that gorgeous, decorated umbrella shielding him from the sun. Soon, he's cooling off in a royal carriage with his bride-to-be! 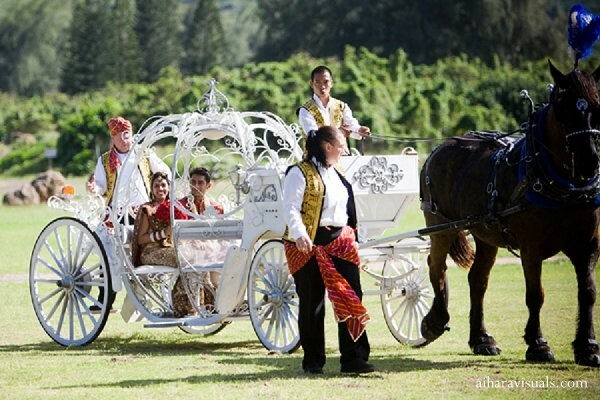 (Cinderella couldn't have dreamed of a prettier ride to the altar!) 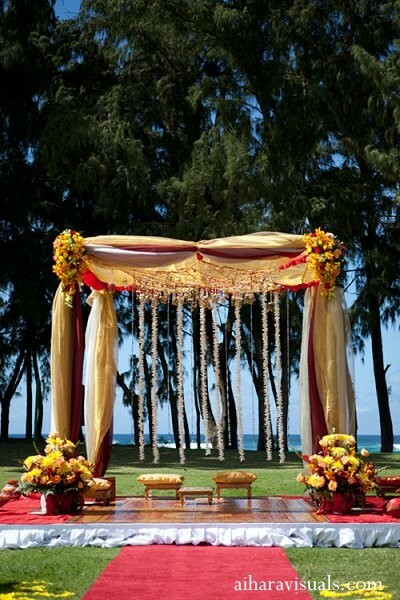 The incredible floral mandap styled by Mira Savara Events exudes tons of beachfront beauty, and our Maharani is a showstopper in a glimmering lengha that has sparkle for miles! 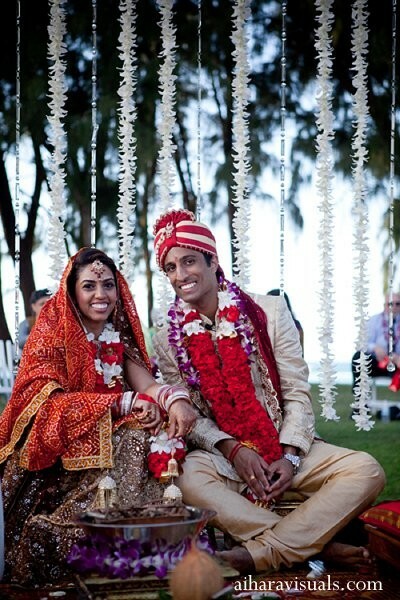 I applaud Aihara Visuals for whisking us away to this dreamy Indian wedding! Come find me in the gallery! This wedding party has some serious fun in the portraits up next!